Before the announced split of Garmin-Asus, the duo launched an Android phone in India, the Garmin Asus A10. 5MP Camera with Auto Focus and Geo tagging capabilities. The phone boasts of 512 MB RAM and 512MB ROM. The smartphone runs on Android 1.6 . It is powered by Qualcomm 7227 600MHz processor. The Phone also has Internal Storage of 4GB. The phone sports Bluetooth and USB for connectivity. The most disappointing thing is that the phone does not have Wi-Fi. The Garmin Asus A10 will rock with GPS (Garmin Navigation). A 1500mAh Battery powers the phone for adequate talktime and standby time. 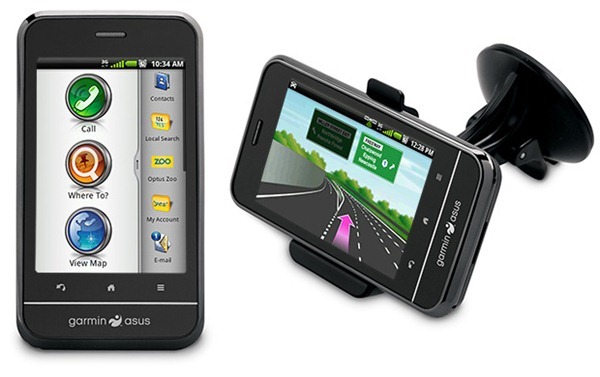 The Garmin Asus A10 is available in the Indian Market with a price tag of 18,990 INR.